Deardorff Stable LLC specializes in the training, breeding, selling and promotion of the American Saddlebred. We have been operating for over 40 years in the Pacific Northwest and have bred, sold and trained national and world champion horses, as well as instructed many world caliber riders. We have a large selection of horses for sale to suit all levels and price ranges. We also offer both private and group riding and driving lessons for all ages and skill levels. Photo at left by Avis Girdler. 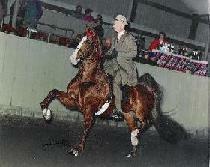 American Saddlebreds have been a part of the Deardorff family since the 1950s when Willard Deardorff (Don’s father) purchased his first Saddlebred stallion. Don began training his father’s horses at a young age and eventually in 1971, he and his wife, Brooke opened their own public training operation, Deardorff Stable in Molalla, Oregon. 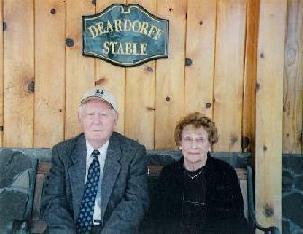 Willard and Betty Deardorff’s farm name, Doubletrees Farm, is now the prefix for all horses bred by the Deardorff family. 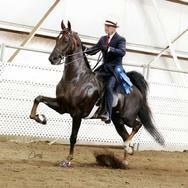 Currently, Deardorff Stable llc owns and operates the largest American Saddlebred breeding program on the west coast. Don and his daughter, Allison, share the training duties. 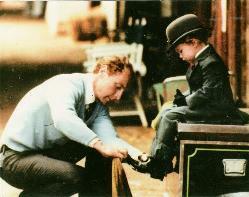 Throughout the years, Don has trained national and world champion horses and riders. He has also bred and sold many world and national champions, most notably WC CH Doubletrees Steel the Show, RWC Doubletrees Quixotic and many others. Don's passion for the breed has helped create the highly successful training, breeding and lesson operation that exists today. Allison has had a successful career as junior exhibitor and as a professional, winning at the national level, earning world and reserve world championships in equitation and performance. 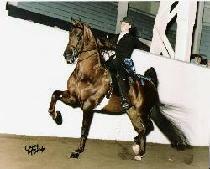 In 1996 and 1998 Allison was a member of the United States Saddle Seat Equitation World Cup Team. Throughout her junior and professional career, Allison has had the opportunity to learn from some of the most respected and successful trainers and instructors in the industry. Allison is proud to hold her United States Equestrian Federation Licensed judging cards for American Saddlebreds, Hackneys, Roadsters, Saddle Seat Equitation and Morgans. With strong roots in the Northwest and the Saddlebred industry Don, Brooke and Allison Deardorff pride themselves on providing a professional, affordable and rewarding experience for their clients. Proud Members of the United Profressional Horseman's Association, the United States Equestrian Federation and the American Hackney Horse Association.